Eisai Co., Ltd. (TSE: 4523)(OTC: ESALY) is a research-based human health care company that discovers, develops and markets products in more than 30 countries. Through a global network of research facilities, manufacturing sites and marketing subsidiaries, Eisai actively participates in all aspects of the worldwide health care system. The Company reported sales of nearly $4.5 billion in fiscal 2003/4, with approximately 15 percent of sales spent for research and development. 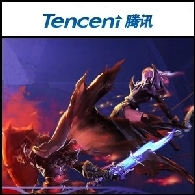 Asian Activities Report for January 20, 2012: China&apos;s largest and most used Internet service provider Tencent Holdings Limited (HKG:0700) has signed an agreement to acquire 49% interest in Level Up for US$26.95 million; Asia Resources Holdings Limited (HKG:0899) says that its iron ore mine in Indonesia has commenced trial production in January 2012; Eisai Co., Ltd. (TYO:4523) will launch LIFE CHECK, a self-monitoring blood glucose meter on January 27, 2012; Nihon Kohden Corporation (TYO:6849) announced the establishment of a 100%-owned subsidiary in Brazil, for the sales and after-sales support of medical devices; NTT Data Corporation (TYO:9613) has commenced to provide supportive services, including ATM software and settlement networks, to regional banks in Japan. 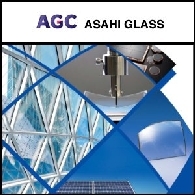 Asian Activities Report for December 16, 2011 includes: Asahi Glass Co., Ltd. (TYO:5201) will establish a new cathode materials production and sales site in China for lithium-ion batteries used in mobile devices and electronic vehicles; FUJIFILM Holdings Corporation (TYO:4901) has signed a definitive agreement to acquire all outstanding shares of SonoSite, Inc. (NASDAQ:SONO) for approximately US$995 million; Kobe Steel, Ltd. (TYO:5406) plans to increase the production capacity of its Chinese subsidiary which makes aluminum forgings for automotive suspensions; Eisai Co., Ltd. (TYO:4523) has received approval from Health Canada for Halaven(TM), a novel anticancer agent for the treatment of metastatic breast cancer.